Why am I even doing this? Is this what I am supposed to be doing with my life? I don’t feel like working today. I just wish I could get on a plane and fly to an Island somewhere. This is how I feel on some days. Burnout is a common phenomenon among entrepreneurs. At the beginning of your business venture, you are excited about all the different ideas you have in your head and how you are going to execute them. However with time, even the tasks that once excited you can become boring. You no longer feel the passion and hunger you felt when you first started. This is an unhealthy place to be for any business owner. So what can you do to get your mojo back? 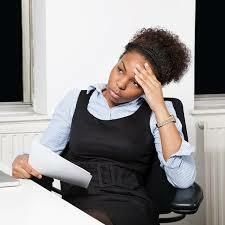 One of the biggest reasons why people lose interest in their business is because they are overworked and stressed out. You must be deliberate about taking some time off to rest and refresh yourself. It does not have to be a luxurious vacation. Simply unplug from your business for a few days and try to do fun stuff that is not work related and you will feel refreshed and energized. Speak to someone you trust and who has related experience. Sometimes when you are in a low place, you blame yourself or even feel like yours is an isolated case, but speaking to other people will show you that you are not alone and you might also learn a thing or two about how someone else handled the same situation. Reading can be very therapeutic and enlightening. Besides finding tested solutions to problems and learning new ideas; reading mentally transports your mind to new environments and helps to revive your creative juices. Another way to rekindle the fire you once had is by being grateful. A simple exercise of writing down your past achievements and successes has a way of humbling you and making you inspired and excited about the future. You can also motivate yourself by learning something new. Attend a conference, watch a video on YouTube or sign up for a class etc. The anticipation of gaining new knowledge is exciting and gives you something to look forward to. If you are struggling to face work each day, it is important to understand why. If you are still very passionate about what you do but just can’t find the energy, it is most likely a case of burnout. Apply the tips we have just discussed and stay excited about your work.